Jekyll and Hyde – Being a COA is a thing! Every child should be allowed to experience, what being a kid is all about. Not a care in the world, happy, laughing, playing with friends, make memories, enjoying school etc. It’s hard when I’m in any situation growing up when people around me discussed their childhood. I have blocked out a lot of mine as the only nice memories I have are times shared with my nan, my only living grandparent. I’d go on day trips to theme parks and the sea-side with her and to this day I’d say she was my saviour throughout. The reason I didn’t go off the rails, turn to drink, drugs or get in any trouble. Both of my parents drank throughout my childhood. Whilst my dad had a full-time job as a self-employed carpenter and joiner, the pub was his life in the evenings. The only time I ever got to spend quality time with him was when he would take me fishing when we went to Wales where they had a caravan. I love spending time with my dad when he was sober. When he drank he was a completely different person, I used to always say that both my parents were like Jekyll and Hyde. I resented my dad when he drank, he would get aggressive sometimes so drunk I would have to physically try to pick him off the floor or move him out of the way, clean up smashed glass. He would also wet himself on a regular basis when he was so wasted which was left to me to clean up. I hated him when he was drunk, even during trips to Wales, alcohol took over. Most times he would drink drive. I remember one day in particular, I must have been about 7 where he drove us home some distance from the pub and kept asking me to talk to him to keep him focused and awake. The thing was, when I woke up in the morning it was like nothing happened. He wouldn’t remember a thing. When they would spend hours in the pub I would ask over and over to go home with no response. Id either try to sleep on the seats in the pub or wait in the car. It would be hours and hours until we eventually got home. My dada even had a fight in a pub with a bloke one day over me crying and begging to go home. I’ve never had a strong relationship with my mom, she was a landlady of a pub when she was 21 so she was surrounded by alcohol from a young age. When I was 8 my parents managed a pub for 2 years, that was a very lonely time for me. I’d spend every evening and weekends on my own upstairs. It was a huge property; it was like having a 4-bedroom house all to myself. When I was hungry I had to go down stairs and take some crisps from the bar, it was then I learnt to cook, by the time we left that place I could cook a full Sunday roast. 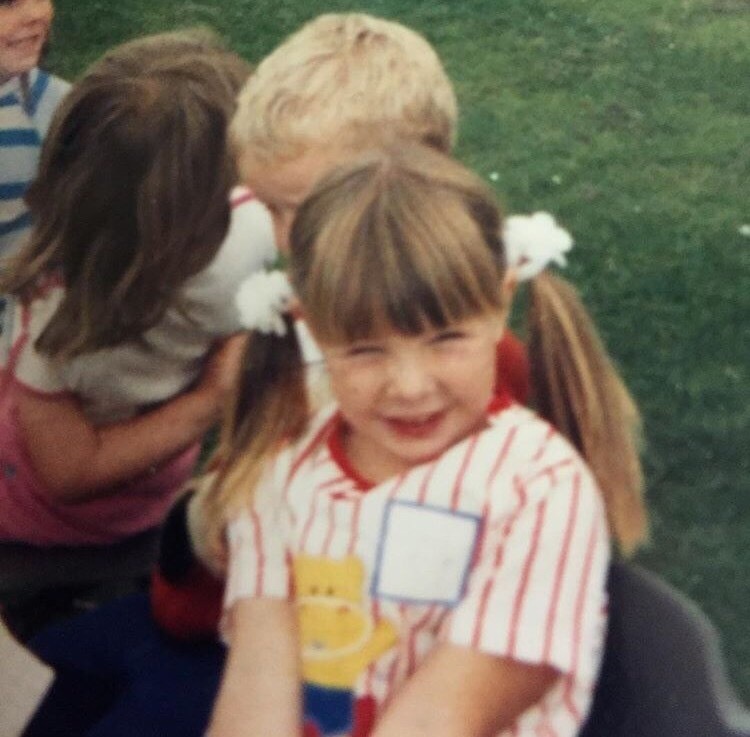 I grew up around adults, I didn’t have many friends and I tried to hide my feelings and what life was really like to other kids. School was equally as difficult. I didn’t fit in, I felt too mature and a bit of a loner. With school and my home life such a struggle I rarely had any escape. There’s a quote that says ‘a smile can hide a sad soul’ and that was true in my case. The smile on my face hid a thousand truths. I wouldn’t even let me nan know the full extent of my troubles. It was made worse when I spent so much time with my male cousin who seemed to have it all. My aunty and uncle had worked for it but had a lovely home, he had everything he wanted. I appreciated everything I was given as it wasn’t given to me freely. Without my nan I wouldn’t have had new school shoes, school bag, coat etc. Growing up I couldn’t do right from wrong in the eyes of my mom, drinking completely changed the person she was. She would blame me for things I hadn’t done, shout at me, bring me down. We never did mother- daughter things, I never had hugs, cuddles, kisses good night. I didn’t know any different until I started to realise that the relationship we had wasn’t normal. I’d see other moms with their daughters, both for real and on TV programmes and movies. That was like a fairy tale for me. Something magical I wanted. Then I had no one to talk too, I was embarrassed by my home life and scared. I knew that if I told my nan or anyone about how things were that I’d only get punished in some way. Most kids look forward to Christmas but I dreaded it, it would always be ruined by alcohol. I wished that I had some support or someone to talk to like Nacoa when I was going through all this as a child. As I got older I promised myself that I would escape and get away from the unhappiness but drinking finally caught up with both my parents through alcohol induced injuries. My mom fell and broke her hip and my dad fell down the stairs, fracturing his neck and back. This meant he couldn’t work again, he loved his job and with him restricted to the house, it only made him drink more. I still don’t know why to this day but I stuck around and became a carer for the both whilst working a full time job. My mom went down to just under 6 stone and has had another few falls since and 2 further hip ops. My dad now has a condition where he cannot eat. He is tube fed through his stomach every night. All caused by drinking. They have wasted their lives. Mom finally gave up drinking a couple of years ago and with much care and attention I managed to get her weight up to 9 stone and our relationship has never been so good. Whilst I never fully escaped I made sure I did as much as I could for myself. I travelled the world for 4 months in 2008 and have been on lots of adventures since then, experienced so much and made lots of great memories, ones I’ll never want to block out. I wanted to share my story in the hope it would help or reach out to someone. Someone that could relate to what I went through but also to show that I came out of it ok. I think I’m the person I am now because of it all. I realised that there is an escape. I hope that Nacoa grows, is able to reach out to more children so people have a wider awareness of the effects of alcoholism. This post was written anonymously, but offers huge hope. If you feel affected by what you have read then Nacoa is here for you. 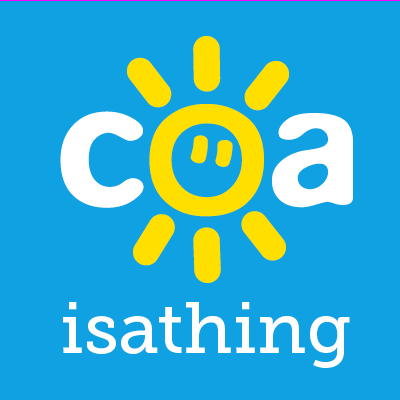 Coaisathing is happy to share anything that you feel you may want to put out there as the child of an alcoholic, just contact here. Previous Post Dads alcoholism made me the man I am today. Pingback: Abstinence or Chaos. – Being a COA is a thing!